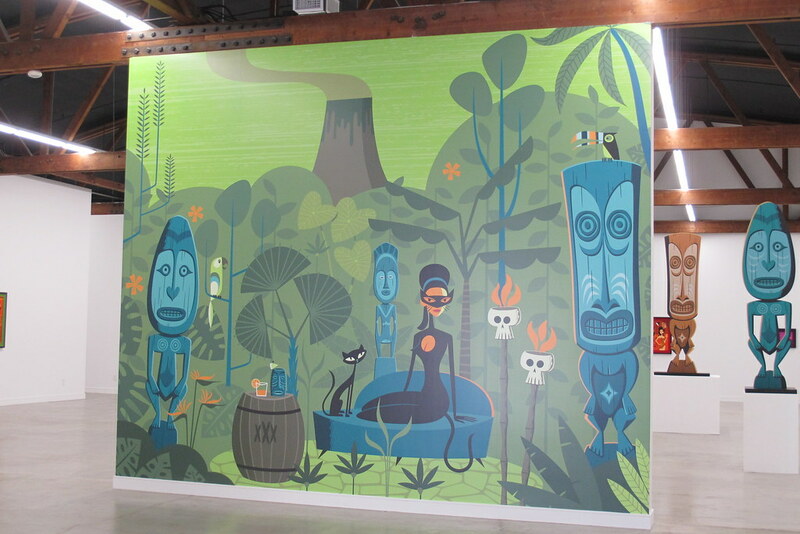 Every time we visit Palm Springs we try to stop by Shag: The Store as they are constantly coming out with new prints and merchandise from my favorite tiki artist Shag (aka Josh Agle). 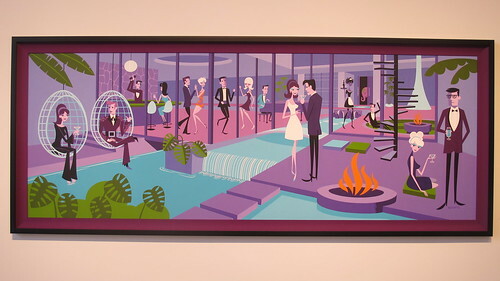 During Modernism Week, the gallery hosted a little shindig in honor of the release of the print “The 55th Annual Cocktail Climb.” It attracted quite a turnout! 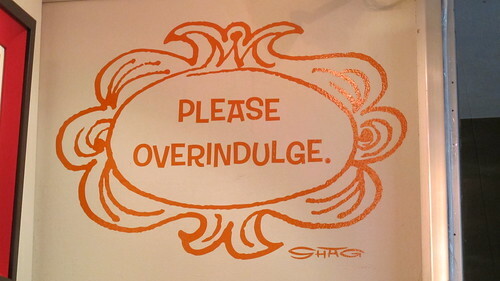 Snaking around the store was a line of people waiting to get something signed by Shag, who was decked out in one of those highly coveted Enchanted Tiki Room attraction host shirts. 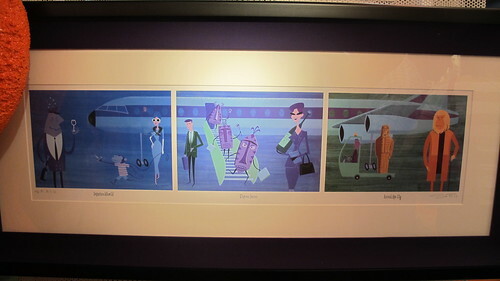 It’s fun to admire the special items the gallery has on display, such as this 1999 lithograph of “Departure, Stopover, Arrival,” which was billed as Shag’s most rare print and on offer for $3,500. 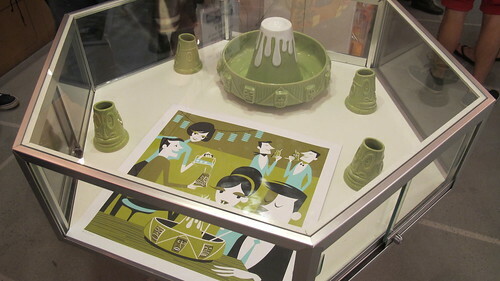 Last year, Tiki Farm and Shag teamed up to produce giant volcano bowl sets ($375) that included a print and four mugs. They were produced in three glazes and there are still sets available in the green Koei glaze. 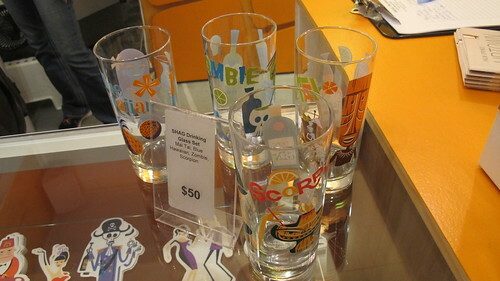 I also snapped up a set of Shag drinking glasses ($50), which each have a design for a tiki drink: Mai Tai, Blue Hawaiian, Scorpion, Zombie. 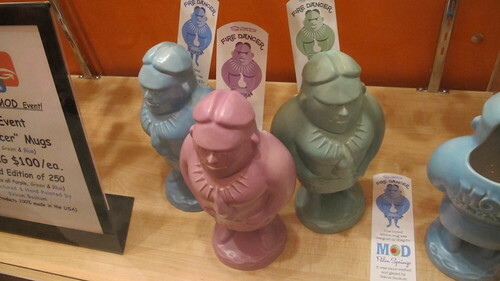 These had sold out in 2012, so it was nice to see them back in stock. There were some leftovers from the first-ever MOD Palm Springs event, like these “Firedancer” mugs ($100) designed by Shag and produced by Eekum Bookum. 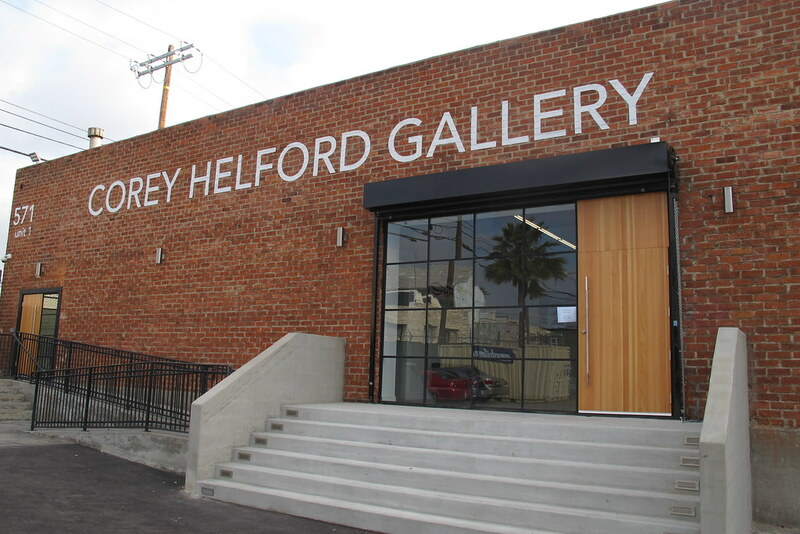 Some of these items I’ve mentioned can also be found in the online store (but if you’ve seen something you like that’s not there you should call because they’re very accommodating). 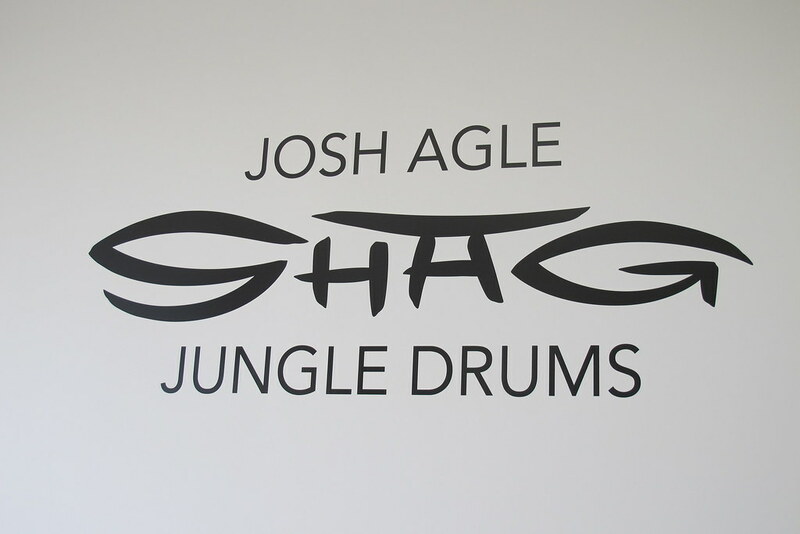 If you’d like to be in-the-know about future Shag art and merch, you should go sign up for the e-mail newsletter for Shag: The Store. 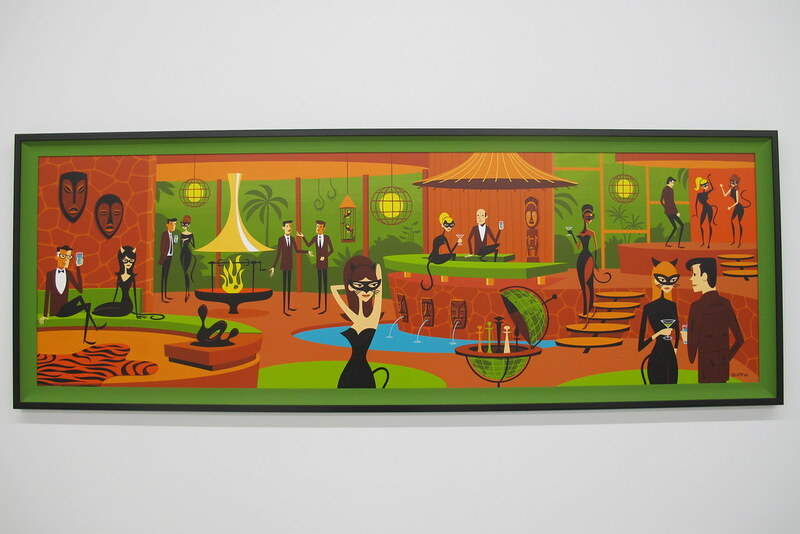 My favorite tiki-influenced artist is Shag (aka Josh Agle), whose paintings often portray retro revelers indulging in various vices and swilling martinis. 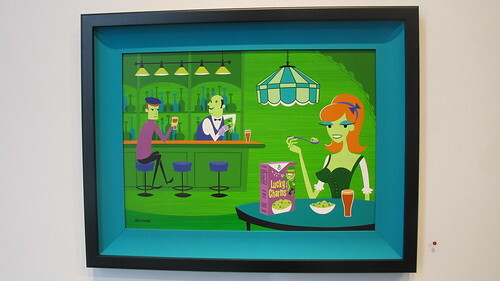 But it seems like life has been imitating art a bit too much lately, as Shag candidly shared in the press release for his most recent solo exhibition, Pink Elephants, at the Corey Helford Gallery in Culver City. 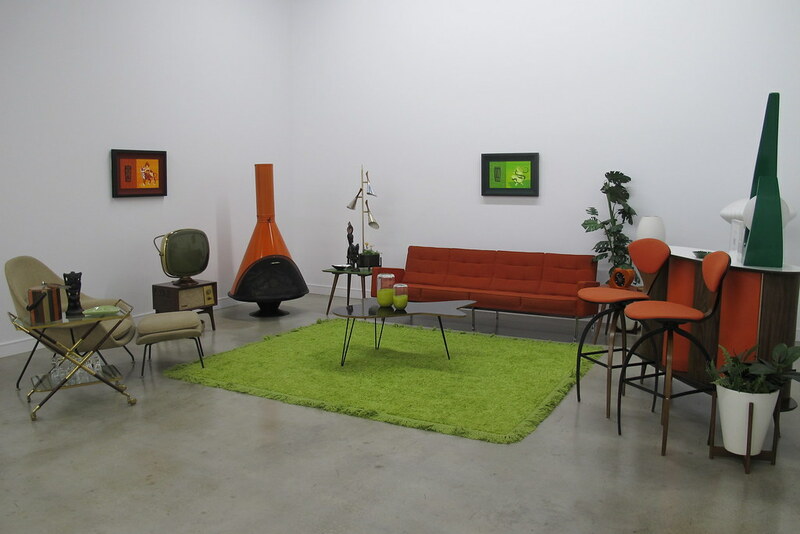 In addition to the original paintings, the show also included a sculptural piece called Phaedra that Shag designed and Mod Fab produced. 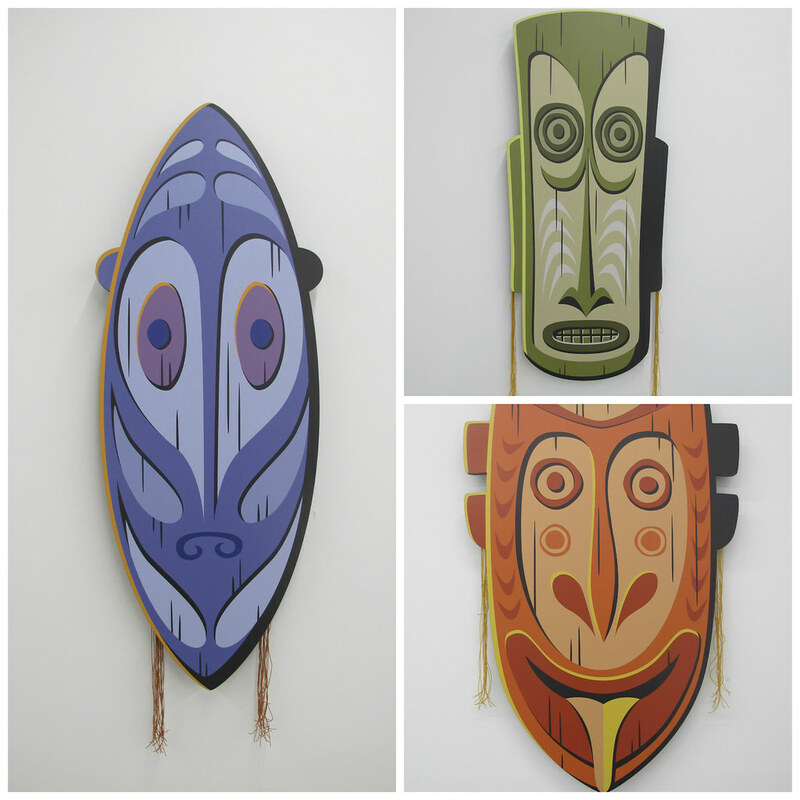 One hundred are available and they come with a limited edition serigraph. 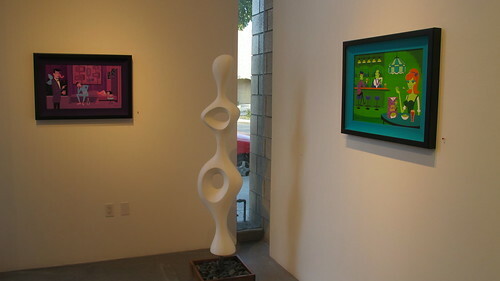 The sculpture also makes an appearance in “Office Politics” (in the photo above this one). 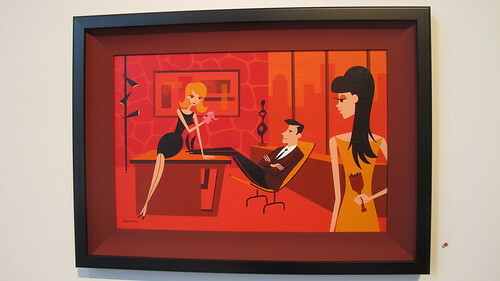 “The Four Martini Lunch” felt very “Mad Men” to me with its misbehaving businessmen. 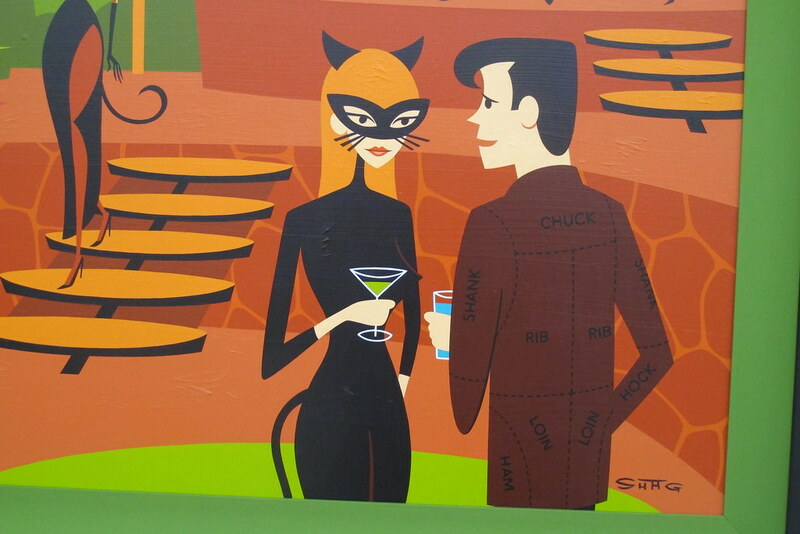 I swear the one on the left looks like Roger Sterling. 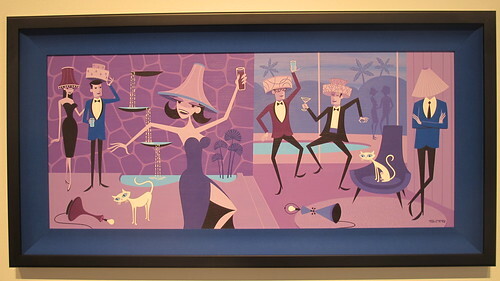 My favorite from the show would probably be “Eight Shades of Drunk.” I can’t resist a good pun — or even a bad one, generally — and I dig the humor and, of course, the atomic-style lampshades. 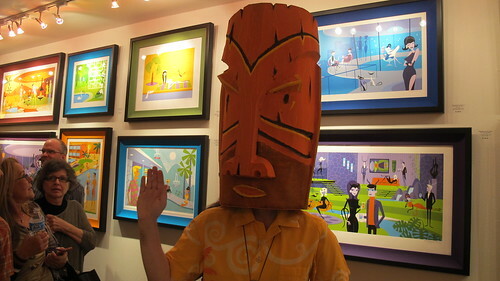 Naturally, I was keeping an eye out for something tiki, so I was pleased to discover “The Plastered Castaway” with its seemingly concerned Moai. 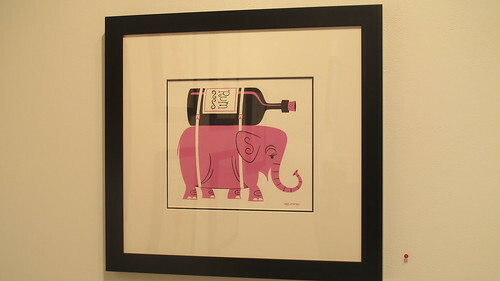 There were even a dozen smaller paintings of partying pink elephants. 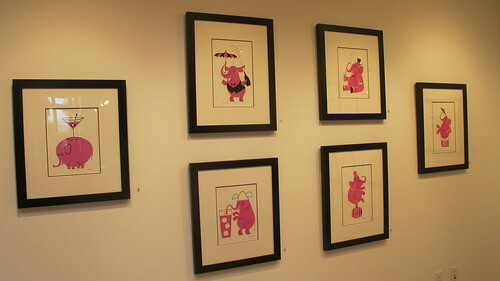 Pink elephants have appeared in Shag’s art before, as mentioned on Shagwatch, but I think it’s safe to say that this is the first show in which they’ve been so prominently featured. 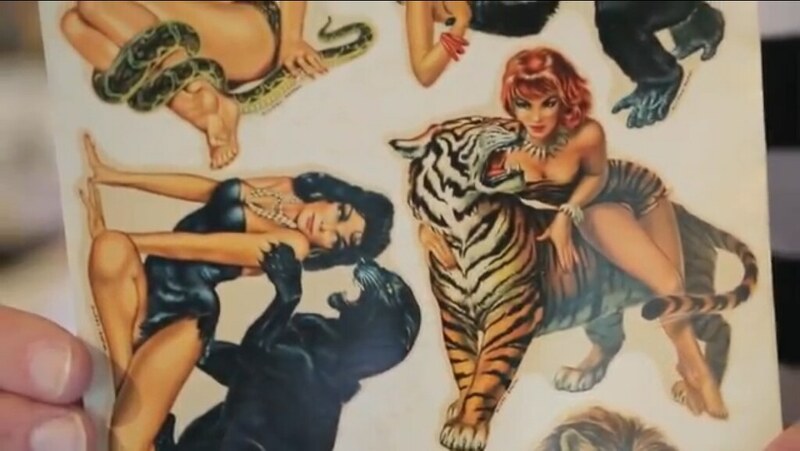 The original paintings sold for thousands of dollars each, but per usual there were a few prints on offer for the more casual customer. 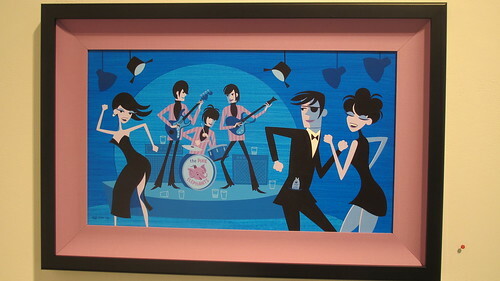 “E is For Elephants” ($150, edition of 250) is a continuation of Shag’s A to Z art series. 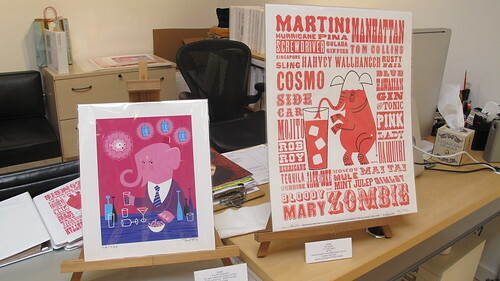 Shag also collaborated with letterpress designer Kevin Bradley on this interesting print “29 Drinks” ($100, edition of 150). 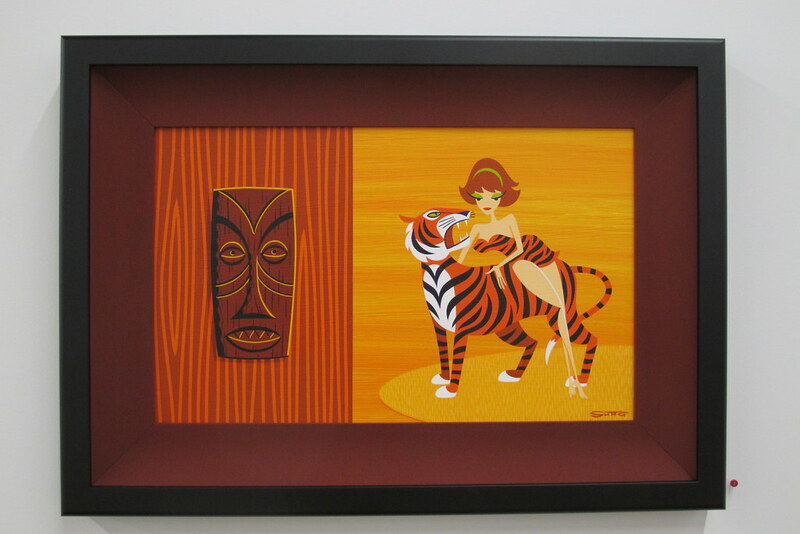 In other Shag news, he just released a new print called “The Lost Book” that’s being sold on Shagmart. 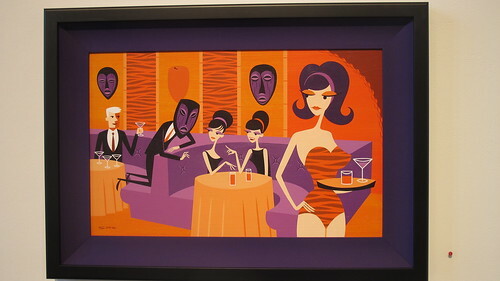 And for Palm Springs Modernism Week, Shag: The Store will host a print release party on Feb. 15 for “The 55th Cocktail Climb,” plus there’s yet another print, “Havana Cha Cha,” for the opening night Modern Mambo! 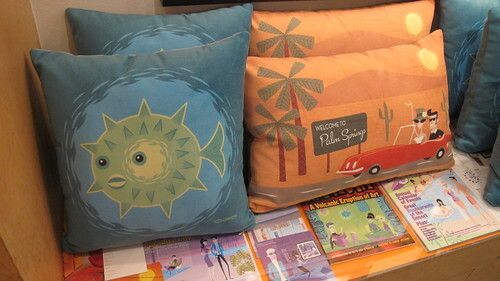 event at Caliente Tropics on Feb. 13.